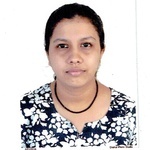 HI I AM SANJANA SHENOY I AM WORKING ON THIS SITE AS I KNOW THE SKILLS OF MICROSOFT WORD, MICROSOFT EXCEL, ADVANCED EXCEL. I KNOW THE USAGE OF INTERNET. EVEN I AM WORKING ON SITE...Read moreHI I AM SANJANA SHENOY I AM WORKING ON THIS SITE AS I KNOW THE SKILLS OF MICROSOFT WORD, MICROSOFT EXCEL, ADVANCED EXCEL. I KNOW THE USAGE OF INTERNET. EVEN I AM WORKING ON SITE DIGITIZE INDIA PLATFORM FROM AUGUST TILL OCTOBER WHICH IS SITE OF NARENDRA MODI SITE.